Giorgi Jikia is a doubt to play for Russia in the World Cup. Jikia hurt his left knee while playing for Spartak Moscow against Chinese team Shanghai SIPG in the United Arab Emirates. Video footage showed him clutching his knee and howling in pain, before being taken away on a stretcher. Spartak said in a statement that Jikia has been released from hospital and is in the team hotel, but that he will require an operation. "It will be clear later how long Jikia needs to recover,'' the club said. Players with torn ACLs often need several months before they are able to play again. Jikia made headlines last week when he filmed three of his black teammates training and posted it to the club's official Twitter account with the caption "chocolates melting in the sun." The tweet was condemned by FIFA and anti-racism groups. 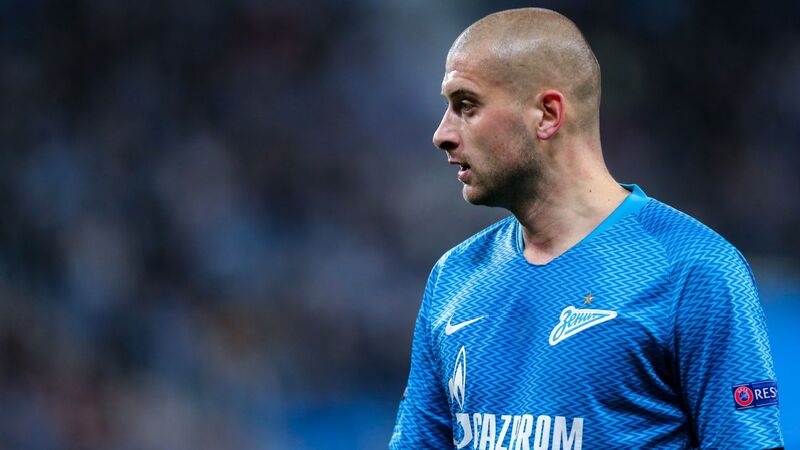 Jikia has become a key defender for Russia over the last year, filling the gap left by the international retirement of veterans such as Sergei Ignashevich and Vasily Berezutsky. He has played eight times for Russia including starts in all three of the team's games at last year's Confederations Cup. Russia will play Saudi Arabia, Egypt, and Uruguay in the World Cup group stage.